We'd really like your comments and feedback on this new UFO video! 2 UFO's being observed by an black Gunship helicopter over northern Houston Texas U.S Start to follow the Helicopter before dissapearing into thin air. At 7pm on Tue 10th 2013. There have been reports alone relating to white balls of light! is this these objects, and has more people recorded these? 1 of 3 different clips sent. Not sure what to make of this news. The man speaking does own his local newspaper, so it's great PR for him. This interview is in Turkish and translation is provided below. Some have mentioned that the object photographed on the lake, was infact a boat, possibly resting on the lake bed in low tide. Please leave any comments, as a reply to this post. Self-owner of the local weekly newspaper, Murat Çurku Messenger, was to take pictures of a picnic on Sunday went to the beach pier located on the shores of Lake Van. Çurku wandering around taking pictures on the beach for a while, the pier dominating the coast of the northern part of Lake Van, near the island of Çarpanak attracted the attention of an object. The object changed shape and moved to the cloud. Çurku began to photograph it. Çurku was astonished and said: "The weather was beautiful, and I went to take pictures of the coast pier, I saw an object around Carpanak Island. At first I did not pay more attention, but then I saw the shape of the object bein to move." He added: I've never seen anything like that in my life. I was confused. I do not know what the object was, but I would say UFO." Major Highlights! Citizens Hearing On ET & UFO Disclosure. 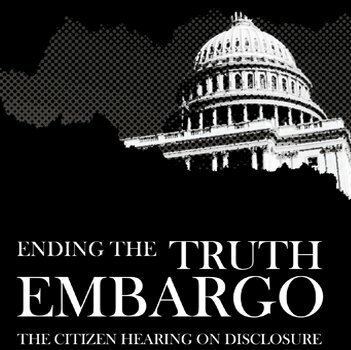 Incredible events have unfolded at the Citizens Hearing on UFO Disclosure in Washington DC, over the last week. A long list of highly credible speakers, researchers, former government, military & airforce staff versed the UFO topic have come forward at the event. Its imperative that the mainstream media pick up on this event. Compared to previous disclosure press conferences this event has a particular seriousness and urgency to it. From the press conference:"Current testimony is being given to six former members of Congress at the National Press Club on the material and remains found in area 51 at Roswell by multiple military sources. President Eisenhower and Vice President Nixon are said to have sent top clearance CIA operatives to investigate and report back on the findings. One such operative gave video testimony and another, who is no longer alive, was represented by his son. Investigative researchers on the topic who had interviewed and validated the reports of these sources testified as well." Below are some great highlights from the event so far, if you wish to watch more videos and read more about the events from the week long hearing see here. The Citizen Hearing on Disclosure brings 40+ researchers and government/agency witnesses to Washington, DC. While there, they will testify before former members of the U.S Congress, on events and evidence supporting the truth of an extraterrestrial presence which is engaging the human race. Also, the ongoing government policy to embargo this truth, will be confronted. The Truth Embarge will have the necessary scope and production values to warrant theatrical distribution. Such distribution would be a first. Since 1951 over 300 fiction films with extraterrestrial themes of one type or another have been produced generating over 50 billion in 2013 dollars in revenues for the entertainment industry. Remarkably, despite great public interest in the subject matter and a growing mass of evidence confirming the extraterrestrial reality, not a single documentary addressing the subject has received theatrical distribution. That barrier could be finally breached this year – if not by Truth Embargo then by Sirius or another documentary. On April 27th 2013, residents of Rocha in Paraguay, witnessed a large and intensely bright light traveling across the night sky. The local media suggested it may be a meteor, however, this object was moving much too slowly, and stayed in the sky far too long, to be a mere shooting star. This UFO was witnessed on October 1st, 2010 in Piedras Negras, Coahuila by the Quirarte family. Bright UFO lights filmed during a thunderstorm. Could they be balls of lightening? We have written for many years about one of the real reasons for the UFO coverip by the FAA - that is the serious threat they pose to the safety of commercial aircraft. I just finished watching the Sirius movie with the REALUFOs team, and I must say, it was well very well done! Below is a brief spoiler of the movie. I've kept it brief so not to ruin it for those who haven't seen it. The movie gives us a glimpse of Dr Steven Greer's journey and how he got into the business of UFO/ET disclosure. Much of the content is very relevant and explains how the world has got into the situation we are in today, and why a grounds-up disclosure revolution is necessary. Not ARE they here - but HOW did they get here? If we accept that ET's have made it to Earth then obviously it takes us to the next revelation that they must have some incredible propulsion and energy system. If we could learn about this it would revolutionise the energy industry and this is where the resistance lies. Dr Greer relays numerous testimonies from former military and 2001 Disclosure Project staff. It's obvious he is well connected in high places, and this is what brings much credibility to the project over the years. The brightest star in the sky, south of the celestial equator in the constellation Canis Major. There is much mystery around the little six inch alien body, which is revealed for the first time in the movie. Medical studies and samples from abroad are taken to a researcher in Stanford. There are a few gaps in exactly what happened here, obviously removed to avoid security issues with transfer of information to the US. The conclusions are truly eye raising and the researchers almost 'gagged conclusions', leave me wanting to know more! Hopefully this guy is still in his post at Standard after Sirius airs! Some have mentioned Dr Greer has gone off on a spiritual tangent with the "Encounter of the Fifth Kind CE-5", but some footage from the CSETI UFO hunting night camps is quite compelling - especially the footage showing the UFO vanishing once the military jet zooms by. The contact protocol is explained in the movie and the belief is that a group of people in UFO hotspots can consciously initiate UFO contact through deep meditation. These beliefs have obviously made Dr Greer a controversial figure in UFO field over the last decade, but his legacy in uniting so many credible witnesses for the disclosure movement against firm resistance from the government, is no small feet. Overall, the Sirius film is a great round up of numerous ideas and leaves us with the pressing cause that each of us have the responsibility to make disclosure happen. This secret has been kept quiet for 60 + years...it may not occur overnight, but eventually if enough of us wake up, it will. click here to view and download the Sirius for yourself. This footage has been doing the rounds on the internet over the last week or so. Posting for your information: A giant "monumental" stone structure discovered beneath the waters of the Sea of Galilee in Israel has archaeologists puzzled as to its purpose and even how long ago it was built. In-house recording of a UFO incident, during a live YouTube broadcast from April 28, 2013, offers slow motion and motion-stabilized views of this remarkable event. Filmers comments: UFO appears over a hospital in Belfast which actually has its own replica UFO displayed outside the hospital, Recorded by Tony from a 3rd floor building. Opinions are divided on what these hovering lights could be. Were they remote controlled toys? Was driving home home with wife & kids. Decided to take a road home that was darkened instead of the freeway because I was hoping the kids would fall asleep. When I saw the lights, I thought they were helicopters flying around because some of them seemed to have spotlights (sorry, I didnt get any footage of that part) Then I saw the way they were flying and knew helicopters don't fly like that. I pulled over, took out my iphone and filmed.